Annyeonghaseyo? 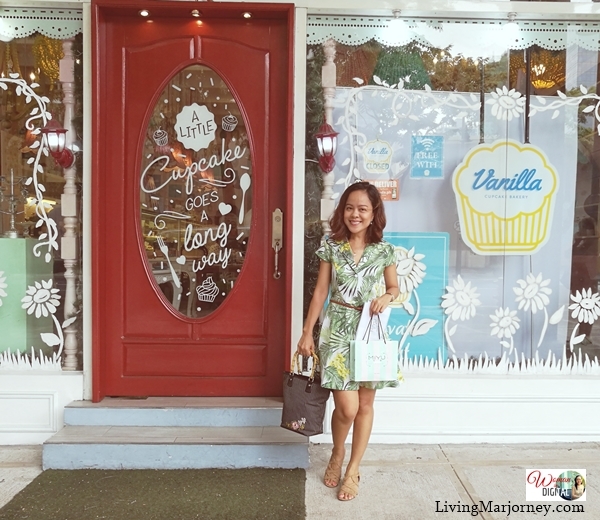 A new Korean skin care product specially made for Filipina was recently launched. 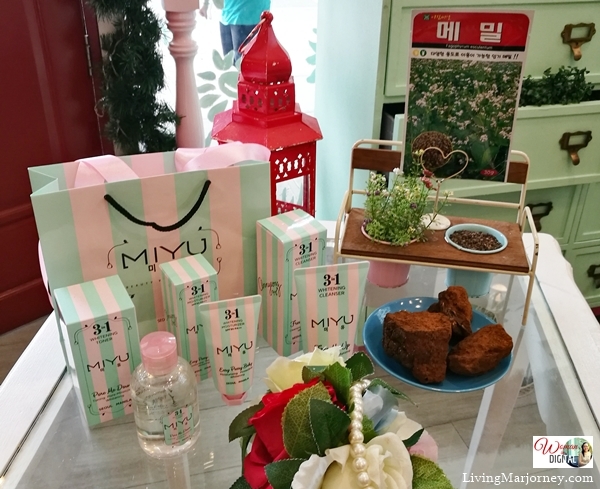 MIYU, a 3-step Korean skin care line brought to us by Amway Philippines, the world’s No. 1 direct selling business. 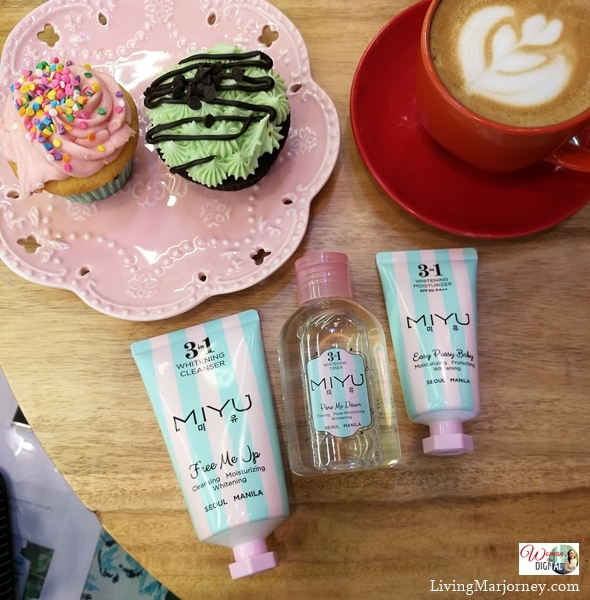 Miyu, (meaning beauty within you) maybe a newbie Korean-formulated skincare line but it's specially made for Filipina skin type. Compared to other skin care line with 5- 8 Steps Korean skin care, MIYU offers 3 steps - cleanser, toner, moisturizer. This skin care routine promises to achieve a glowing and youthful skin. 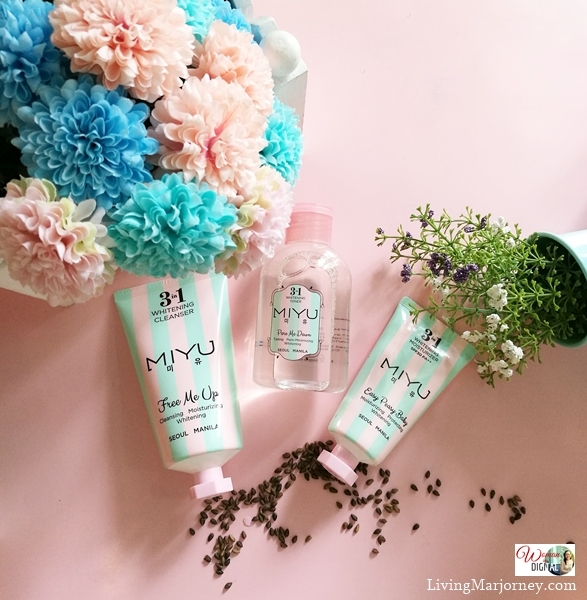 MIYU is made for the busy individuals but loves taking care of their skin. MIYU is made with natural ingredient, Buckwheat and Chaga mushroom. Buckwheat Sprout works on brightening the skin. It also acts on sebum reduction thus preventing acne. Chaga mushroom is traditionally used as a herbal medicine. With MIYU, chaga works on tightening the pores by strengthening skin & decreasing excessive sebum production. The moisturizer contains sun-screen, SPF30 that protects the skin. MIYU comes in a cute pink and green packaging. The sizes are quite small and best for travelling. Step 1: Use MIYU 3-in-1 Whitening Cleanser to remove the dirt from the face. This cleanser also moisturizes and whitens the skin. Step 2: Apply MIYU 3-in-1 Whitening Toner that contains Chaga Mushroom. It helps tighten pores. Together with Buckwheat extract, it tones, minimizes pores and brightens skin. Step 3: Gently apply MIYU 3-in-1 Whitening Moisturizer to hydrate and brighten skin. MIYU also protects skin from the sun’s harmful rays with SPF30. I love the citrus scent of MIYU Toner. MIYU 3 Steps Korean Skin Care set retails at Php 1,947, exclusively available at Amway Philippines. What do you think of MIYU? Stay tuned for a more detailed review of this new-Korean skin care product.